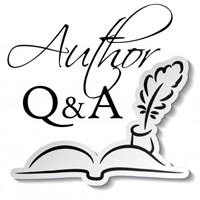 We are delighted to welcome author JW Nelson to Omnimystery News today. John's first in a series of crime novels set in Las Vegas is Joey's Place (Moonshine Cove Publishing; March 2015 trade paperback and ebook formats) and we recently had the chance to catch up with him to talk more about it. Omnimystery News: Introduce us to the lead character in your new Las Vegas series. What is it about him that appeals to you as a writer? JW Nelson: I wanted Heber Parkins to be a unique character in the crime genre, just as I wanted the novel to be unique. It's not just a story about an outcast law enforcement officer, but the story of someone who reflects the nature of the town itself — discovered by ancient Americans as a reliable place to get water, an important waterhole along one of the Old Spanish Trail's routes, briefly settled as a Mormon colony in the mid-1800s, later used as a way-station for people and supplies traveling to Nevada's mines, then an essential railroad stop between Los Angeles and Salt Lake City in the early 1900s and a Depression boomtown thanks to the legalization of gambling, the construction of Hoover Dam, and later, World War II, and the atomic test site in the 1950s. A "Jack Mormon" who came to town from southern Utah as a boy to live with his equally family "black-sheep" Uncle Elron, Heber served in Korea and, at the time of Joey's Place, is in his late 30s. He joined the Sheriff's Department after the service and worked his way up from deputy to detective sergeant. His unenviable position as head of the department's "leper colony" came about because of the death of his popular partner, a death blamed on Heber by many in the department who don't know or won't accept the facts behind his partner's death. Relegated to collecting "the anonymous victims of the most anonymous town of them all" — the waitresses and keno runners who let the wrong man take them home, the card mechanics and grifters who weren't important enough for a deep hole and fifty pounds of quicklime, and the nameless drifters whose bodies turn up in the desert. Then Heber is mysteriously assigned to investigate the murder of the co-owner of the classiest club on the Las Vegas Strip — alone, without any back-up and with the active opposition of the ambitious FBI agent in charge of the Bureau's local office. Discovering why Heber was handed this high profile case and creating the characters who Heber turns up in his efforts to learn the truth about the criminal plot are key reasons for why I wrote Joey's Place. Heber appears as a newly-minted Sheriff's detective in the prequel to Joey's Place, which is entitled Landmark Kill. JWN: Having grown up in Las Vegas in the 1960s and 1970s, I know what the town was like in those years. Not the flashy corporate factory casinos of today, but a place where there was still open desert along the Strip, Frank and Dino ruled the showrooms, there were no freeways or beltways, and you could listen to Tony Bennett or Louis Prima and Keely Smith or laugh along with Don Rickles in a lounge for the price of a drink. Many of our neighbors were "in the business" and just as many made their livings serving and supplying the gaming industry. In many ways, Joey's Place is historical fiction, describing real events and people, such as the eccentric billionaire, Howard Hughes, and touches on many of the actual schemes and ideas of the era — from proposed monorails to bullet trains to L.A. to runways for supersonic passenger jets. And, above it all, always taking precedence over anything else, was the town's thirst for water if it was to grow. JWN: Once the premise of the story gels for me, I prefer to outline using the story techniques I learned at the John Truby Writers Studio. Knowing my ending is also very important. Once I have the basics, the challenge (and thrill) of writing toward that moment make all the effort worthwhile. The novel's ultimate "hidden" opponent was something that came to me during the writing process. But, had I not had a solid idea about my ending (and its ironies), I would not have discovered the unique opposition that turns the story on its head at the end. OMN: How does the title of the book relate to the storyline? JWN: I have long been intrigued by the various dreamers who sought their fortune in Las Vegas. For example, Billy Wilkerson, the original developer of the Flamingo, was a Los Angeles club owner whose swanky operations catered to L.A.'s well-heeled residents and celebrities. Wilkerson wanted to capture the same exclusive feel in Las Vegas, with gambling as the added bonus. Most people know that Ben "Bugsy" Siegel became involved in financing the project when Wilkerson ran short of funds and eventually forced out Wilkerson. Siegel was not a newcomer to town, having staked a claim there for the Syndicate (and himself) in the early 1940s. But the dream was the same. Siegel wanted a classy operation, where movie stars and the rich and famous could rub elbows, socialize, and take their chances at the gaming tables. Wilkerson and Siegel were, by no means, the only ones with similar dreams. That trend continues even today. What I wanted to do with Joey's Place was create an exclusive and highly successful private club operated by a legendary gambler turned casino man whose partner is a respected L.D.S. businessman. This is where the historical angle really comes into play, since the Mormon Church loaned a great deal of money in Las Vegas over the years, channeling those funds from its Salt Lake City banks to local lenders. In that way, the conservative Utah banks could maintain an arm's-length relationship with some of the shady characters behind the development of Las Vegas' resorts in those days. OMN: Was Joey's Place your working title while you wrote it? JWN: The first title was Bad for Business, which is a catch-phrase in Las Vegas to describe the relationship between the casinos and law enforcement and the importance of not allowing anything to happen in town that might scare away tourists or attract the attention of Federal law enforcement. I soon settled on Joey's Place, as it described the center-point around which the tale revolves. OMN: How involved were you with the cover design? JWN: I was involved with the cover design from the beginning and very fortunate to know a talented artist and designer named Crossman Lyons Wilkins. I wanted a cover that evoked Las Vegas (without infringing trademarks) and also reflected the images behind my fictional private club, "Joey's Place." The cover includes the logo of the private club along with a unique representation of a desert sunset. OMN: Suppose Joey's Place were to be adapted for television or film. Who do you see playing the key roles? JWN: I have "pictured" a variety of actors for several of the characters in the novel. For Joey Ross, I can see DeNiro or Pacino or Tony Award winner Anthony Crivello, who was the Phantom in the Venetian Hotel & Casino's long-running production of "Phantom." As for Heber, A-list actors like Leonardo DeCaprio, Bradley Cooper, and Matthew McConaughey naturally come to mind (one can always dream, yes?). Strange as it might sound, I can also see Donny Osmond filling that role quite ably. JWN: What's next is easy to answer — I will be aggressively marketing Joey's Place in today's challenging and exciting book world and finishing its prequel, Landmark Kill, which is set in Las Vegas in September 1963 during a visit to town by President John F. Kennedy. As with Joey's Place, what you first learn isn't at all like what ultimately happens. I'm very excited about Landmark Kill, as it is a thriller and a crime story. John was born in Salt Lake City and raised in Las Vegas. He attended UNLV and UCLA as an undergraduate and graduate student in the Department of History. He has done credited and uncredited "writer for hire" work for independent production companies and has attended classes taught by John Truby and Robert McKee. He later worked in Truby's Writers Studio as a software tester and script analyst. His family moved to Las Vegas in 1963 when he was a boy, at a time when the population of the valley was less than 200,000. He has maintained close ties with his old hometown and his friends there as they have watched a small city with a famous boulevard become an internationally known vacation spot with almost two million residents. His favorite authors include classic detective and crime fiction writers such as Dashiell Hammett, Raymond Chandler, Ross Macdonald, and John D. MacDonald, as well as contemporary writers like Robert Crais, Michael Connelly, and Carl Hiassen, to name just a few. For more information about the author, please visit his website at JWNelson.net and his author page on Goodreads, or find him on Facebook and Twitter. Las Vegas. 1970. Motor courts, motels, and open desert share the Strip with resorts like the Dunes, Sands, and Desert Inn. The resorts take care of their own problems and the law picks up the pieces. If they can find them. Then the respected co-owner of the most exclusive casino in town is discovered in a parking lot with two slugs in his head. Bad for business. The case should go to the Sheriff's elite team of investigators, but outcast Detective Heber Parkins — the department's "trash man" — mysteriously gets the assignment, drawing him into a deadly struggle for control of the city's future.